Recent progress of renewable energy shows that India is accelerating the implementation of solar and wind energy projects at much rapid speed than expected earlier. 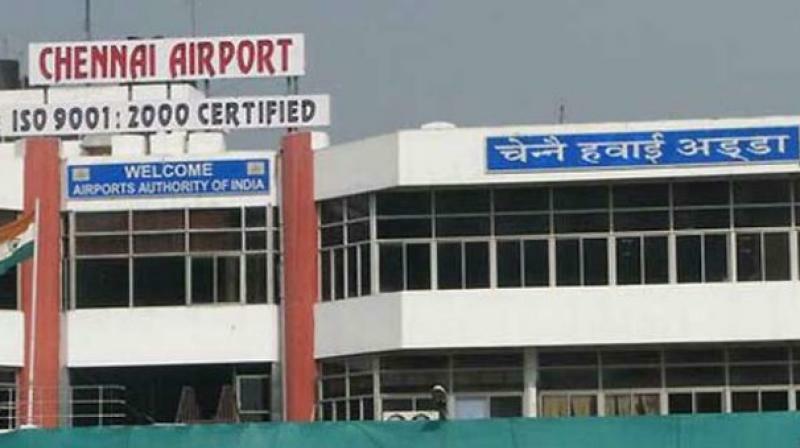 The government agency – Airports Authority of India (AAI) has already installed and commissioned roof top solar plants at 16 airports and further at 11 other airports, the work of installation of solar power projects are in progress in India. The three major projects on solar power plants at Kolkata, Jaipur and Chandigarh with a combined installed capacity of 19.8 MW is likely to be completed by Dec. 2016, says AAI. So far 51 lakhs units solar energy generated by AAI that helped in reducing around 4600 Metric tons of carbon emission in India! Now, a new 1.5 MW roof top solar power plant has installed at the integrated international cargo complex of the Chennai International airport and it has become operational and started generating power. The roof top solar power plant has installed by Relyon Solar Private Limited, which would save Rs. 8 crore in annual power expenses for the cargo terminal. Relyon Solar Chairman and Managing Director Dr Gundu Sabde said, “This is the second largest power plant on roof top of airports in India and it would produce 7,500 units of electricity per day, which works out to about 23 lakh units per year, which was equivalent to saving 4,226 trees,” reports News WebIndia123. “The CO2 emissions would be reduced by 2,400 tons per year and the plant would generate power for the next 25 years,” he further added. An MoU was signed with Solar Energy Corporation of India for the purpose in 2014 to set up a 50MW plant under phase I.
AAI wanted to use empty space between the runway and roof-top of buildings to set up solar panels. More than 4,000 acres of land is available with Chennai airport. Chennai airport currently uses 10mva (megavolt ampere) for the new terminals, 7.55 mva for old buildings, 201kva for residential quarters and 150kva for CISF barracks, reports Economic Times.